The initial item in the news this week is another small bus/taxi connection to a big operator. "Readers may be interested in the correspondence I am having about Wycombe - Slough services and Wexham Park Hospital not permitting the new Carousel service 104 call in there! As this is one of the hospitals Wycombe residents have to attend this is absolutely disgraceful." Peter writes on the matter to Steve Baker ( MP for Wycombe) "Carousel are starting a new bus service at the beginning of June to Slough and have registered it to operate via Wexham Park Hospital - useful for residents who have to go there and it is one to which many Wycombe residents are taken or referred to A & E. The registration of the new service has had to be changed as Wexham Park Hospital will NOT let the bus enter the hospital grounds due to an exclusivity deal they have with a n other operator. I find this totally unacceptable. Redline operate a service WP1 between Slough and the hospital and First operate a service from Bracknell and Maidenhead terminating there. This restriction is not in the public interest and needs to be challenged without delay. Can you take this mater up please? People will have to walk several hundred yards across a busy roundabout in all weathers and with no shelter. I know you take an interest in these matters but this needs urgent action as the service starts Monday June 4th." 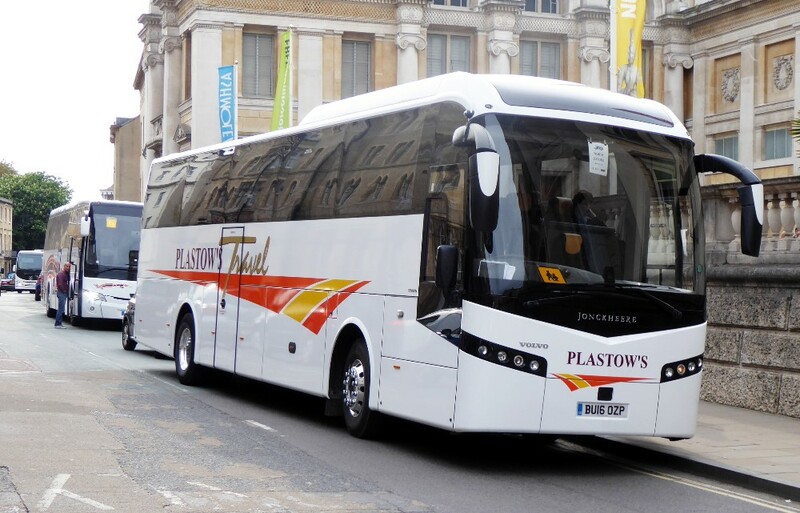 Oxford operator Plastow's Travel has returned to Volvo Bus for a B11R with Jonckheere JHV2 bodywork, which takes its tally of Volvos to nine. They are now fully committed to this model for the whole fleet. 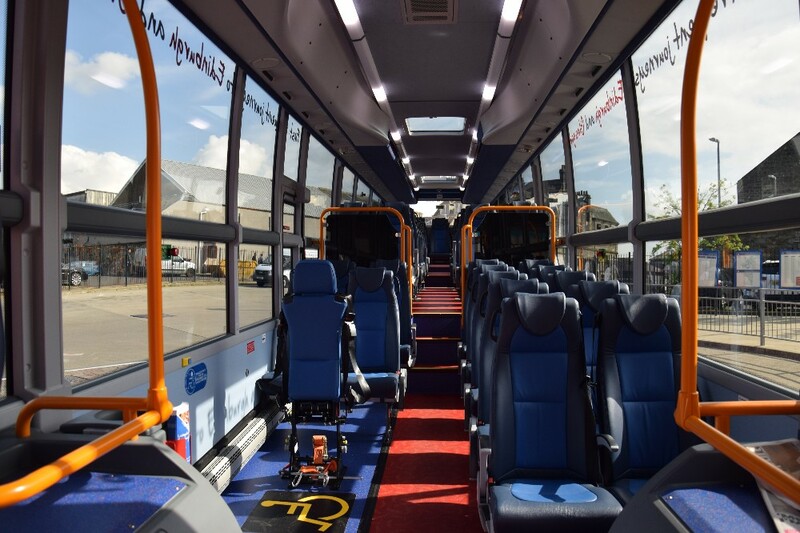 It has 53 Fainsa Brava seats with three-point belts and leather inserts, along with a centre sunken toilet, and it replaces an existing vehicle in the fleet. The 2016 delivery to this well presented fleet is BU16OZP outside The Ashmolean Museum in Oxford on May 16th by Gavin Francis. Visiting coaches and that St Giles parking problem. 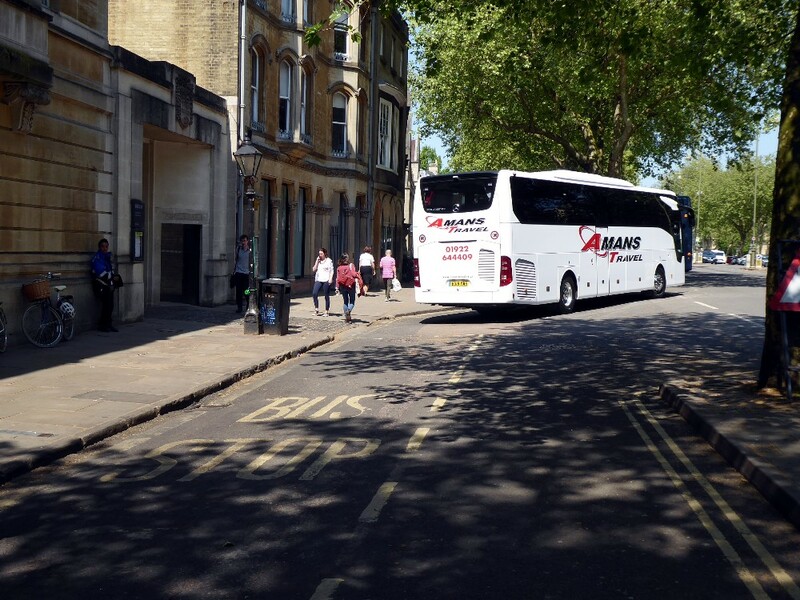 Amans Travel BU18YMS in St Giles on May 15th by Gavin Francis. 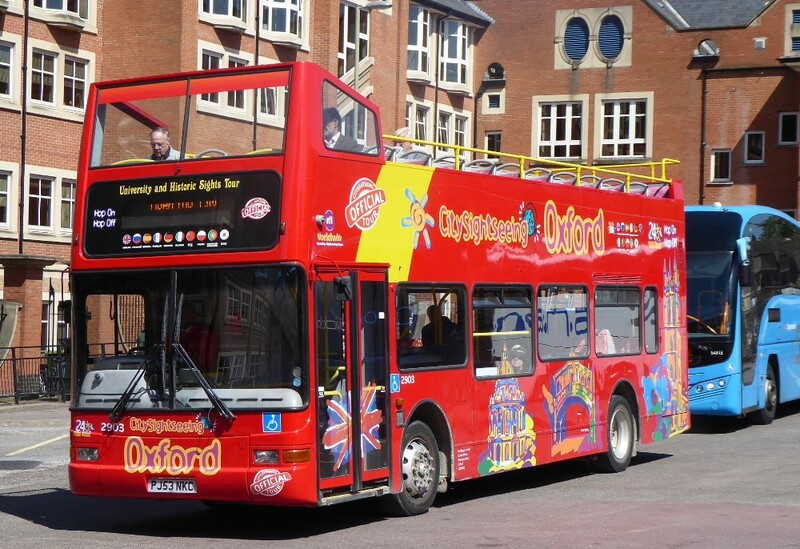 The Oxford Science Transit Shuttle. 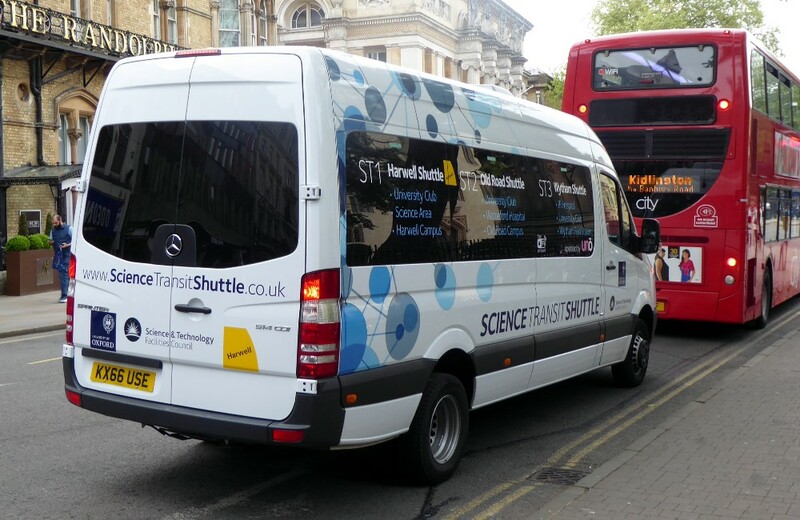 Science Transit Shuttle KX66USE by The Randolph Hotel on May 16th by Gavin Francis. I find the design of this bus from Wrights rather incongruous. The rear is possibly the least aesthetic that I have ever seen! 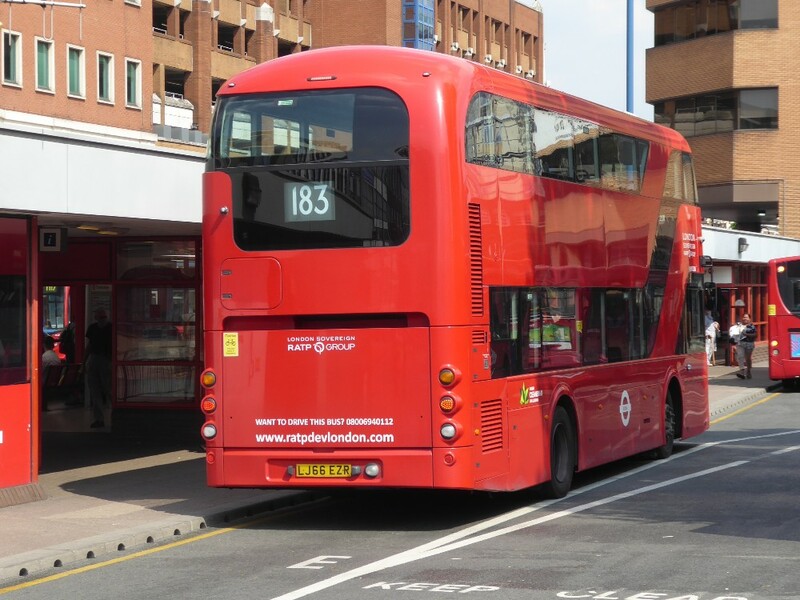 RTP's VHR45206 LJ66EZR at HARROW BUS STATION working the 183 on May 7th by Gavin Francis. On "my thing" about branding, London has followed the provinces and has limited branding on some routes. 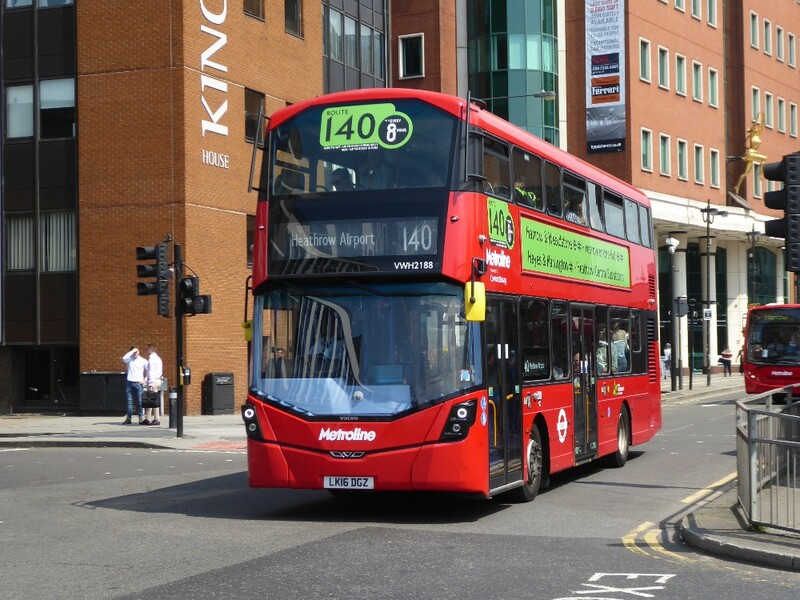 When the picture below was taken no other branded 140 buses were seen!! 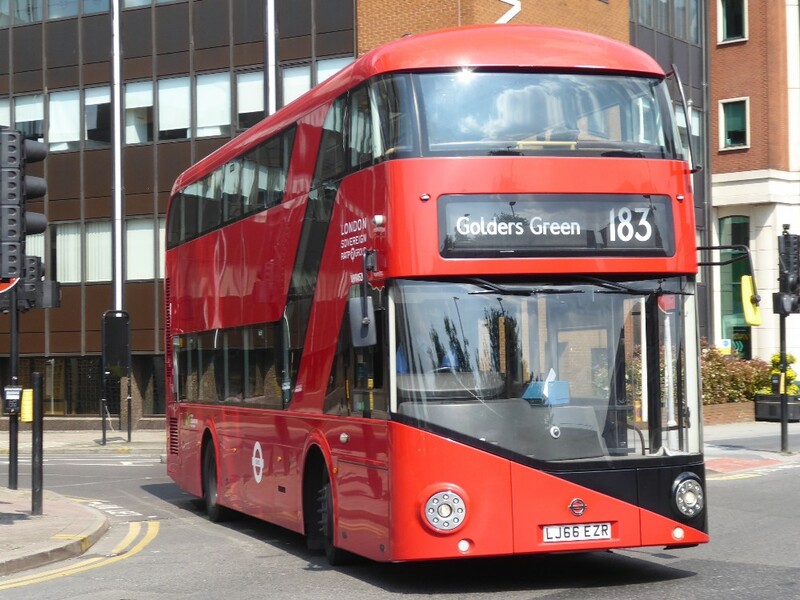 Metroline VWH2188 branded for the 140 at HARROW BUS STATION on May 7th by Gavin Francis. North of the Border now! 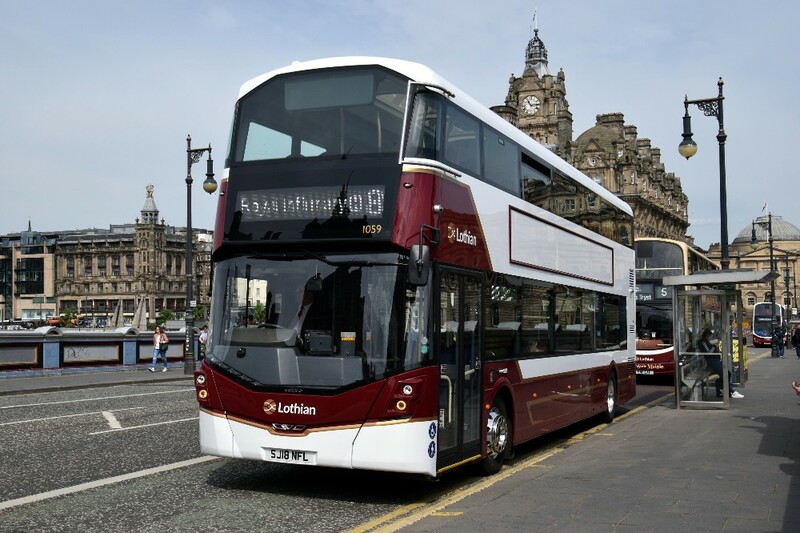 Looking incredibly perfect, new Wrights for Lothian 1059 SJ18NFL is working the H3 at North Bridge, Edinburgh on May 18th by Gordon Scott. Prior to an open day at Dunfermline depot, Fife's 19666 is seen working the 81 to Glenrothes on May 15th by Gordon Scott. 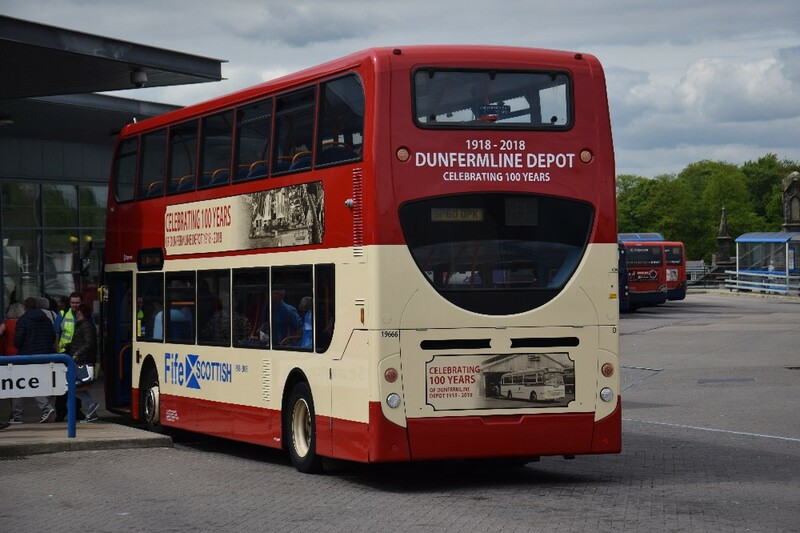 Celebrating 100 years of buses in Dunfermline. The same bus on an Open Day Shuttle on May 19th by Paul Hawkins. It appears a well attended event! 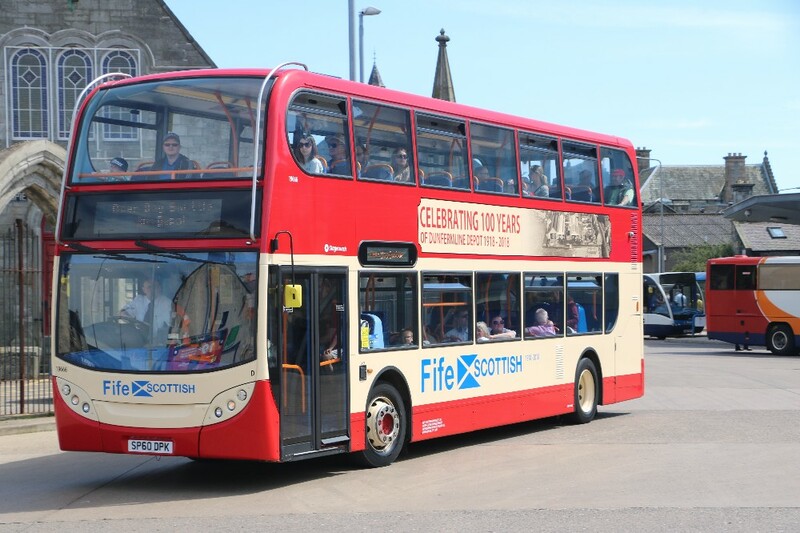 Also looking very smart indeed, Fife's E300 27532 SV57BYM seen in Alexander's Fife Livery on May 19th again by Paul Hawkins. One must admit that cream wheels should ensure a bus is properly cleaned !! 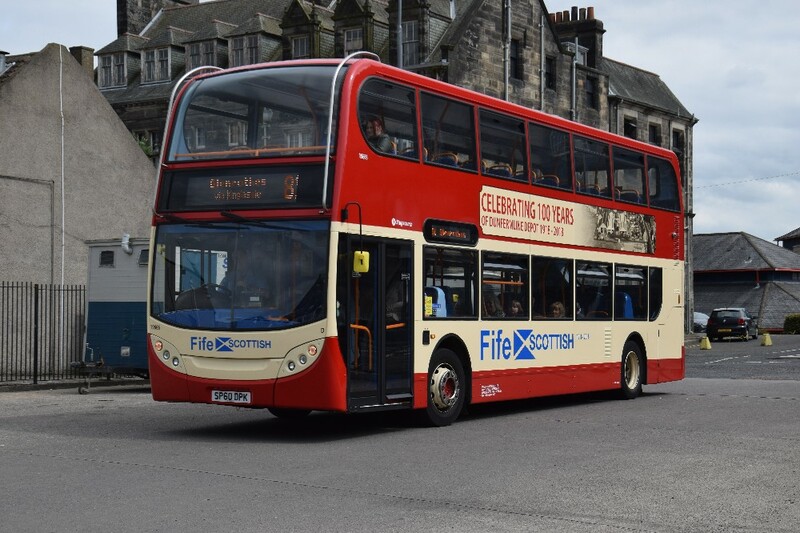 Fife's new 54501 working the X55 in Edinburgh on May 15th by Gordon Scott. For those interested in how the inside looks Gordon sent the picture above. 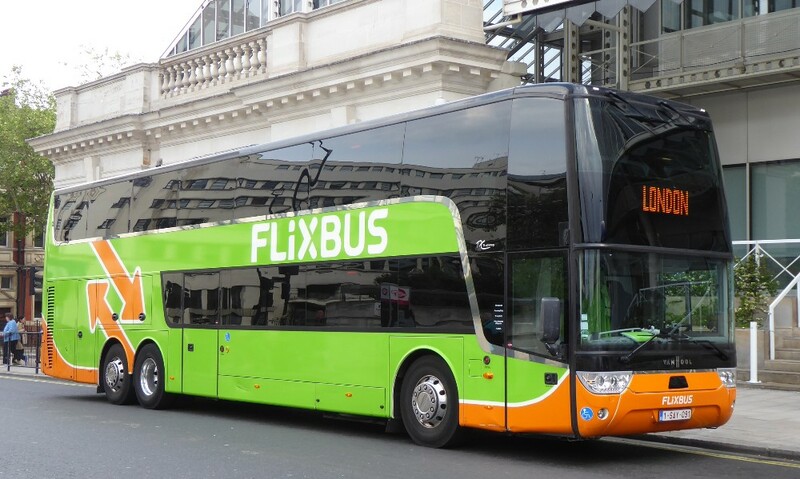 It seems sometime ago now that Megabus surrended its' European routes and Flixbus had the field. Above Flixbus Astromega 1-SAY-091 waits time on Elizabeth Bridge seen on May 16th by Gavin Francis. 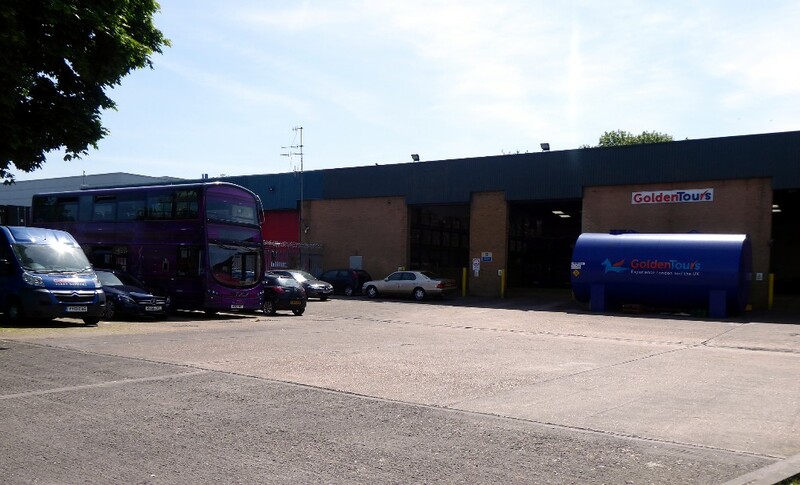 Gavin Francis was pleasantly surprised when on his way to visit Alperton, that golden tours have a very well equipped depot as seen in the picture above. Plenty of under cover storage, especially useful for an open top fleet. May 18th. 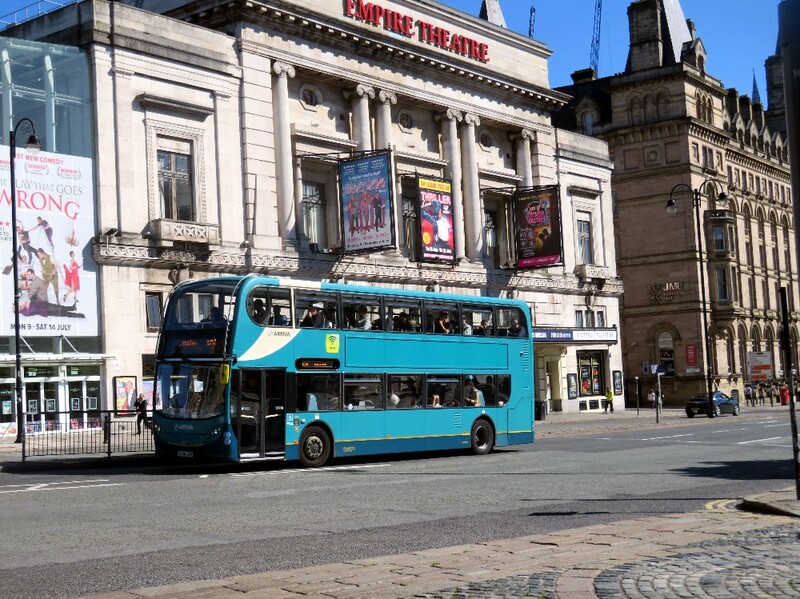 Finally another nice picture from Nick Ross showing Arriva North West's 4591 in Liverpool passing the Empire Theatre with a busy 10B Liverpool - Huyton on May 14th. 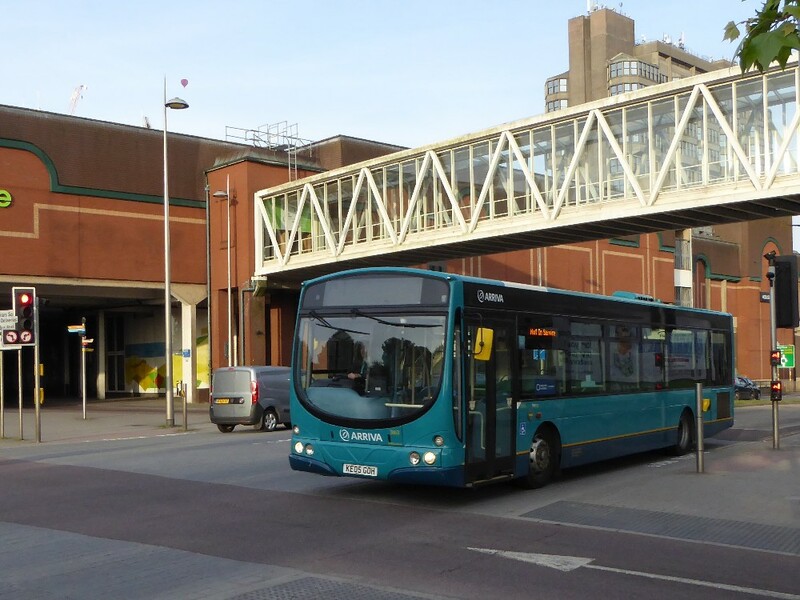 Tony Bungay writes "Arriva Solo 0441 YJ10LZV seen in Dash Livery for Leighton Buzzard but on local service 8 working in Aylesbury on 15th May, I regret not the best angle for a photo! When I submitted a photo to you of 3866 i said there was another similar and finally managed to get a shot of 3863 in Aylesbury on 18th May. It had just finished a journey on the 300 so as side destination says not in service!" Both pictures by Tony Bungay. 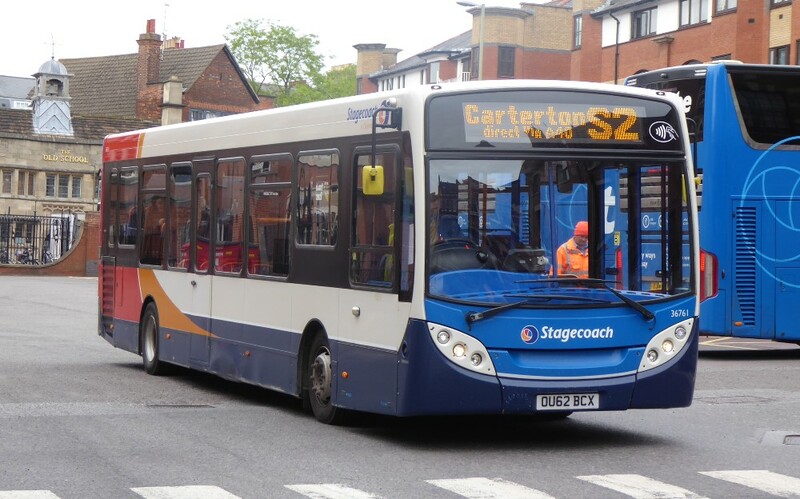 Service 39 will be reintroduced to operate from High Wycombe town centre to Totteridge, replacing the service currently provided by the PR1. 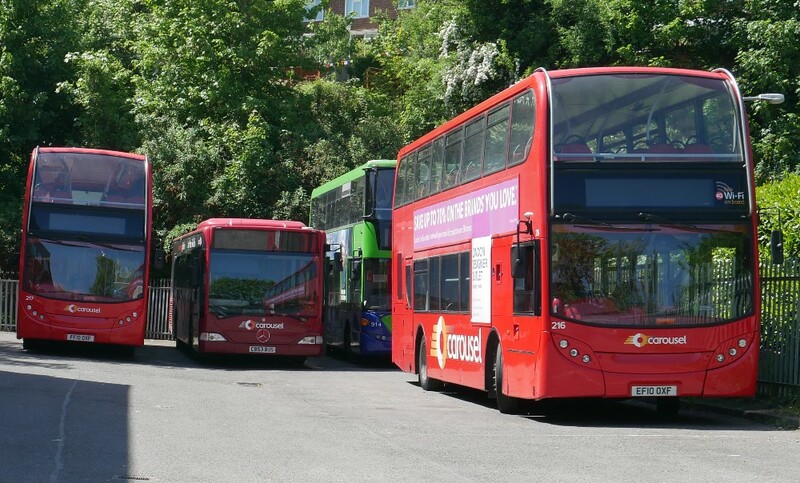 Totteridge, Hollis Road will have a bus up to every 30 minutes on Mondays to Fridays. Saturday will have an approximately hourly service. The section of route between Uxbridge and Heathrow Airport will unfortunately be withdrawn due to insufficient passenger usage. Alternative "Transport for London" services will still be available from Uxbridge to Heathrow. 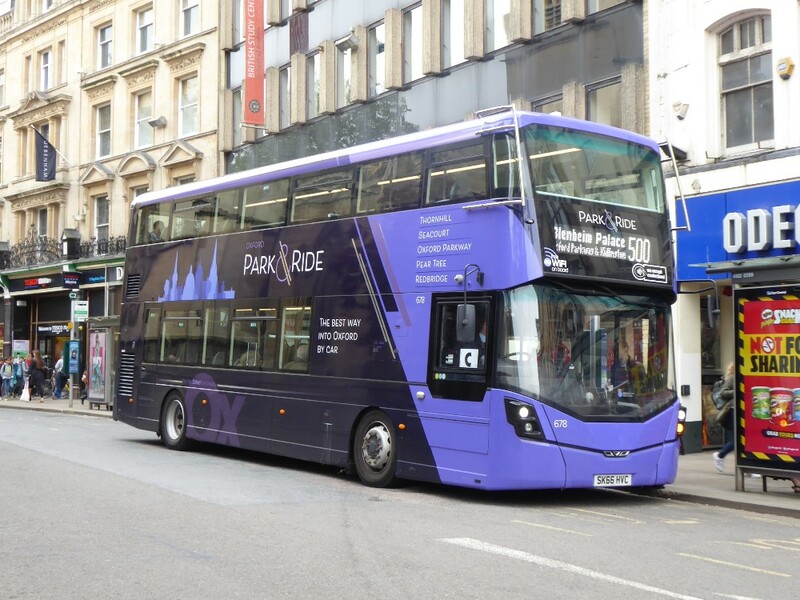 Responding to requests from passengers, the Park & Ride services PR1/PR2 will revert to a dedicated service between the Hand Cross Coachway and High Wycombe town centre. The service will operate up to every fifteen minutes at peak times on Mondays to Fridays. 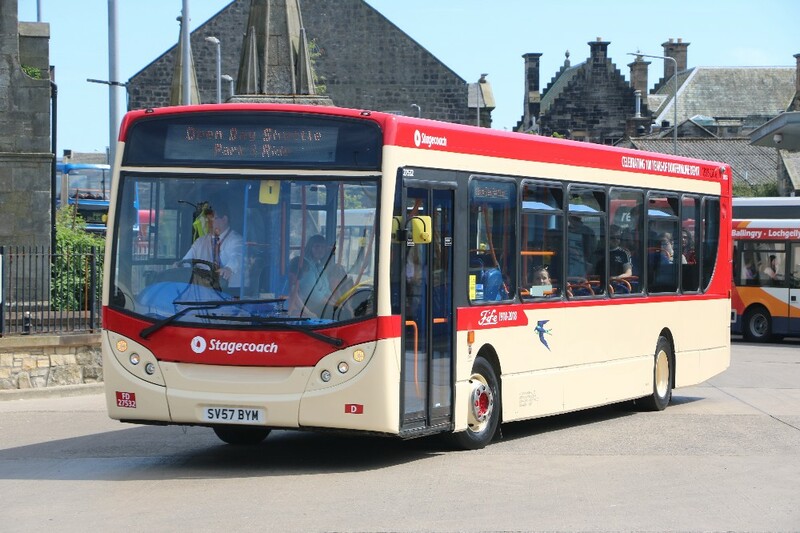 At off-peak times and on Saturdays, the service will operate up to every twenty minutes. 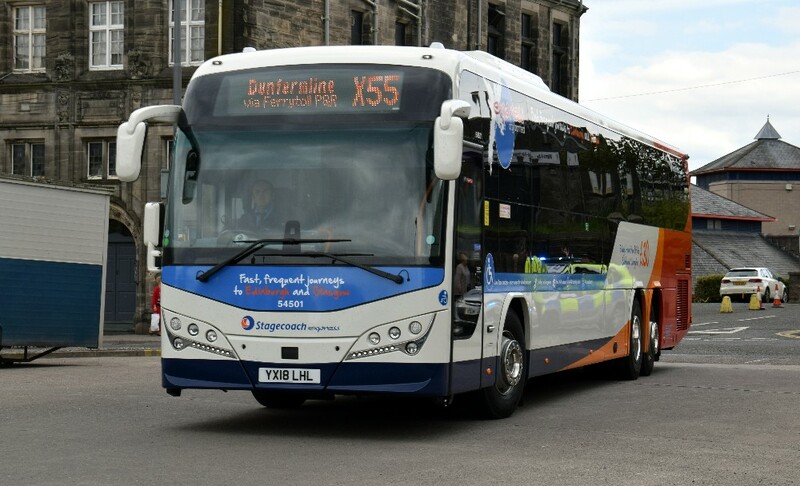 Service X80 will be withdrawn due to insufficient demand. The section of route between Handy Cross Coachway and High Wycombe Town Centre will be replaced by the dedicated Park & Ride service PR1/PR2 (as above). The section of route between Henley-on-Thames and Reading will be replaced by an extension of Thames Travel service X38. The new X38 timetable will operate hourly and is designed to fit in as part of the River Rapids service. 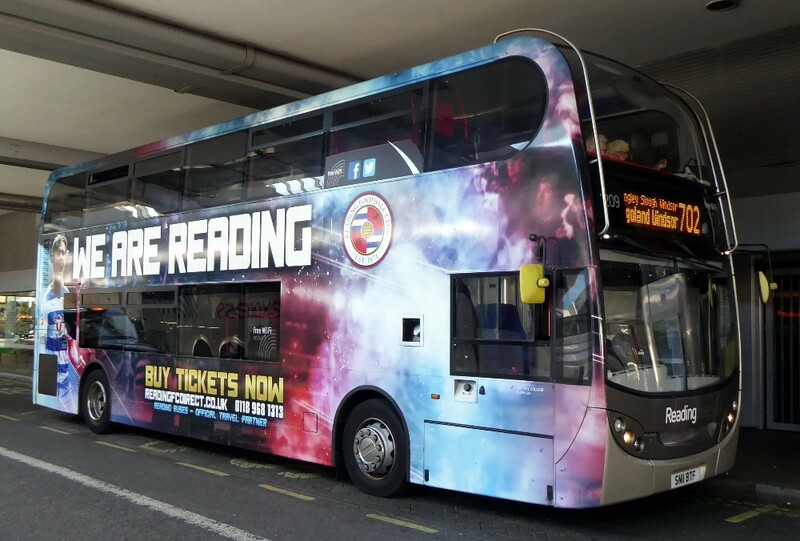 The current X80 journey from Reading timed to arrive at Henley in time for the start of the Henley College day and the corresponding return journey from Henley to Reading at the end of the college day will be replicated in the new X38 timetable. Click on the link below for timetable details. Scania 214 with Orange branded 424 in the depot entrance on May 17th by Malcolm Crowe. Scanias 217, 914 and 216 laying over between duties with Steve Burns' Citaro CB53BUS joining them on May 17th by Malcolm Crowe. Steve has been providing buses for school services. 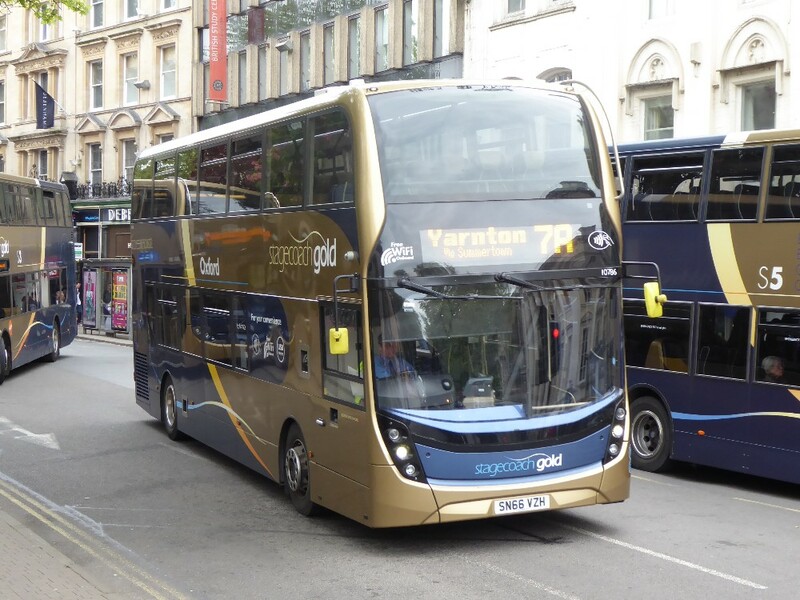 First West of England (FWE) has joined forces with taxi start-up Esoterix Systems to trial a service that transports people who do not live within easy walking distance of a bus stop to and from a place where they can take advantage of one of the operator’s Bristol trunk services. Residents of Henleaze and Westbury Park walk to one of 25 pick-up points. From there, a hackney-style ride-sharing service transports them to Nevil Road or Ashley Down Road bus stops on the A38, from where high-frequency buses run to various traffic generators in Bristol. 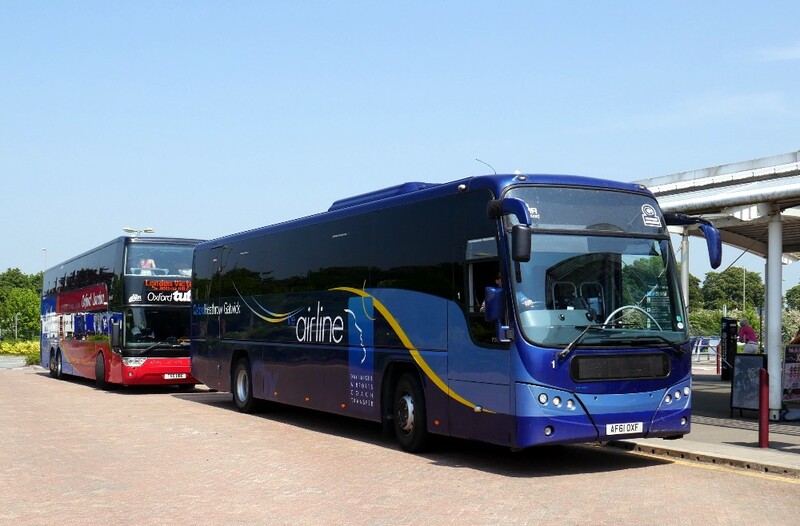 Christened MyFirstMile, the service operates in the morning and afternoon peak periods. 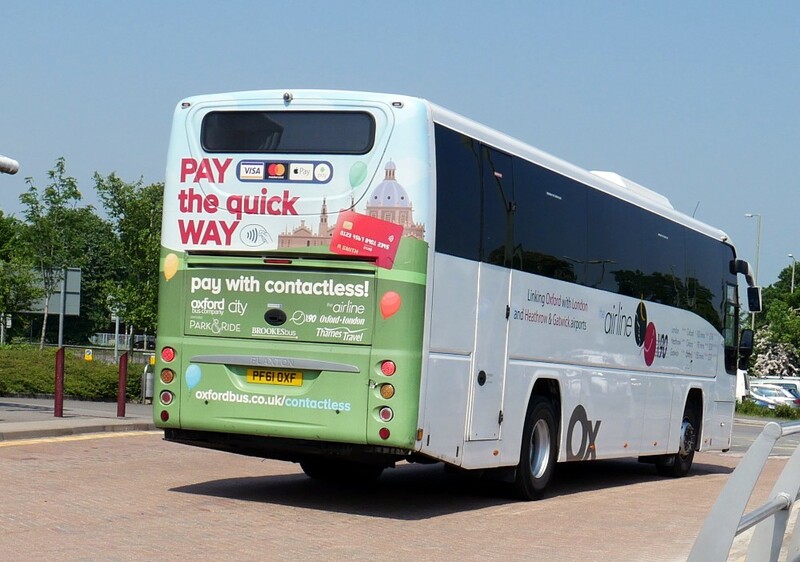 Journey planning and payment is handled by app and all-inclusive daily travel costs £6. Says FWE MD James Freeman: “Technology and new data sources represent a tremendous opportunity for improving transport. The trial will explore passengers’ willingness to take multi-leg journeys and examine how far they regard as too far to walk to a bus stop. It will also be used to evaluate the price point and business model. 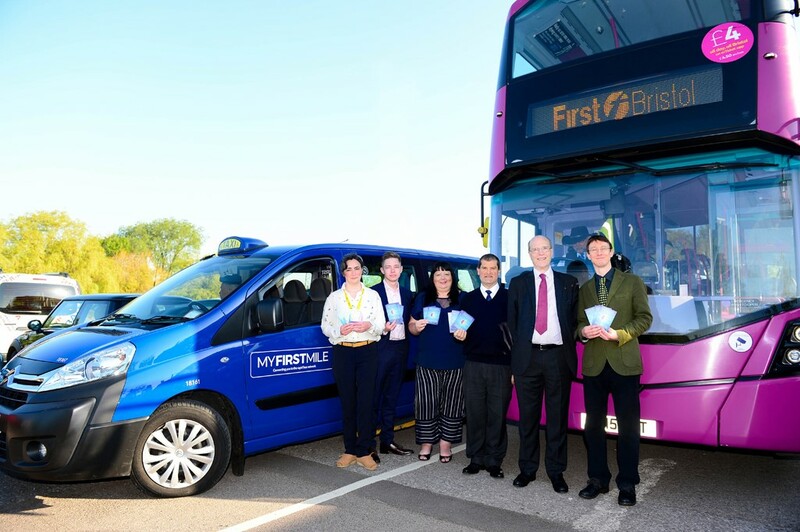 First says that if MyFirstMile is successful, it may be rolled out elsewhere in Bristol and the country. The project is a collaboration that also involves Bristol City Council, Transport Systems Catapult and the University of the West of England. Park & Ride 678 works 500 road to Blenheim Palace seen near the Randolph Hotel on May 16th by Gavin Francis. Filling in for a normal X90 branded coach, nr 1 is seen at Thornhill Park & Ride on May 21st by Malcolm Crowe. A rear wrap on a generic branded 45 seen at Thornhill Park & Ride on May 21st by Malcolm Crowe. 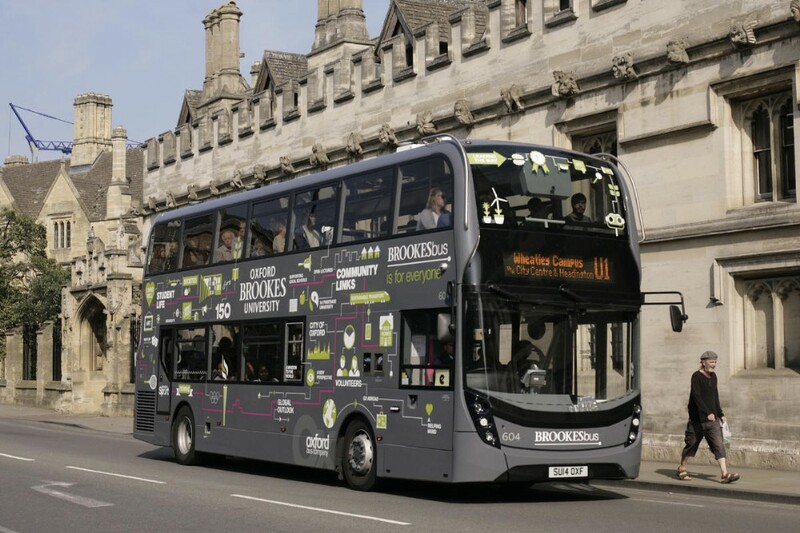 To use an expression, the word on the block is that the Brookes current fleet is to be enhanced by a delivery of six new buses to replace Scanias 201-206. 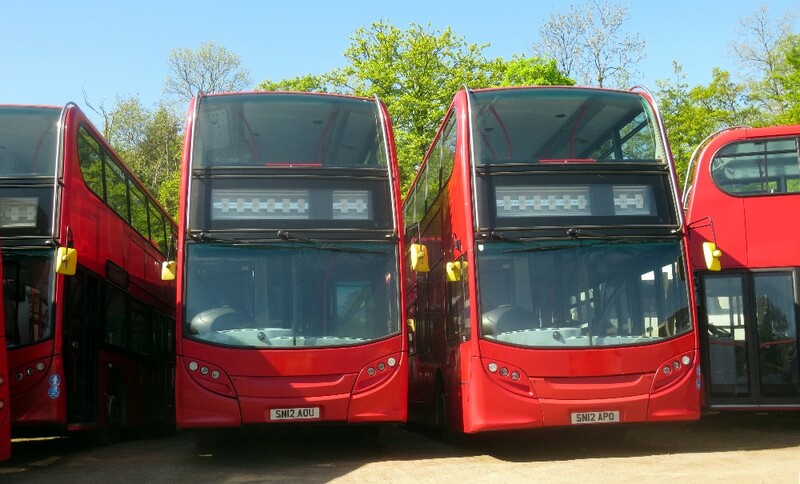 These buses, due sometime in August, will be in a revised livery which should prove interesting. Details are eagerly awaited. 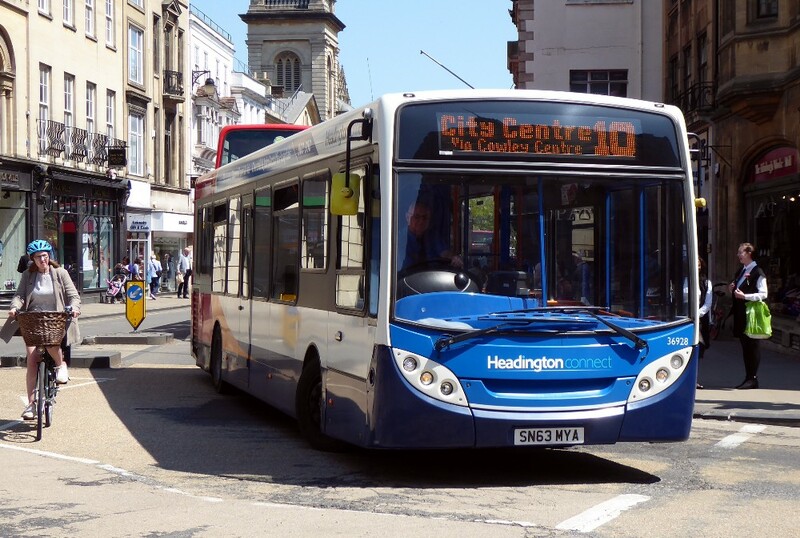 The current fleet, 610-614, are standard E40D diesel buses with a 6700cc engine but is retrofitted with the hybrid Gyrodrive technology that dramatically reduces fuel consumption and emissions and it achieves the benefits of electric hybrids at a fraction of the cost. 604 works the U1 in The High, Oxford on September 26th 2014 by Mark E. Lyons. 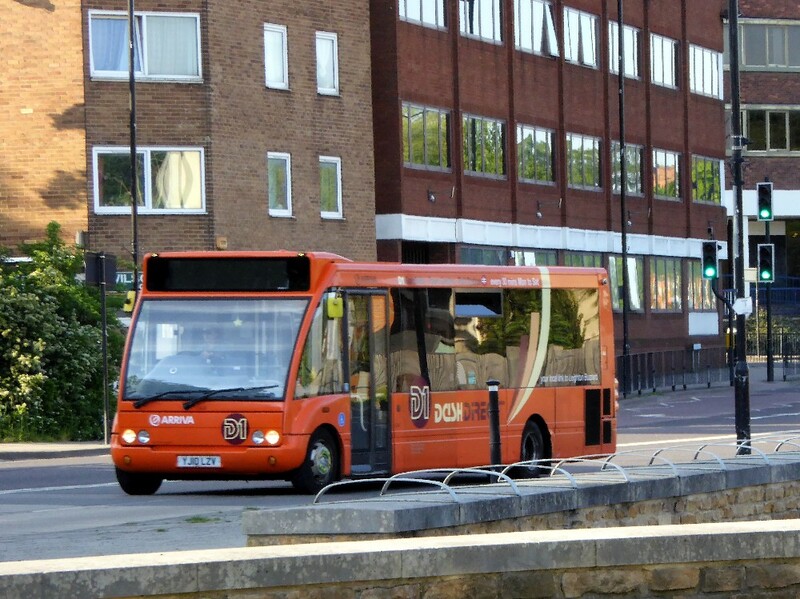 These buses caused quite a stir when put into service and were the first ADL MMC double decks in Oxford. Scania 203 works the X13 at the JR on April 4th by Malcolm Crowe. 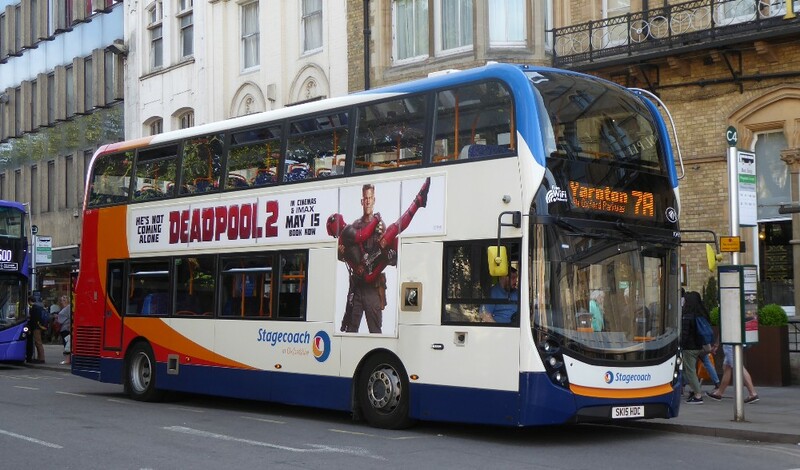 This shows the present livery on these buses. Phil Southall adds "Some of 601 to 614 will be repainted to form our red 'secondary' fleet but exactly how many is still to be decided." 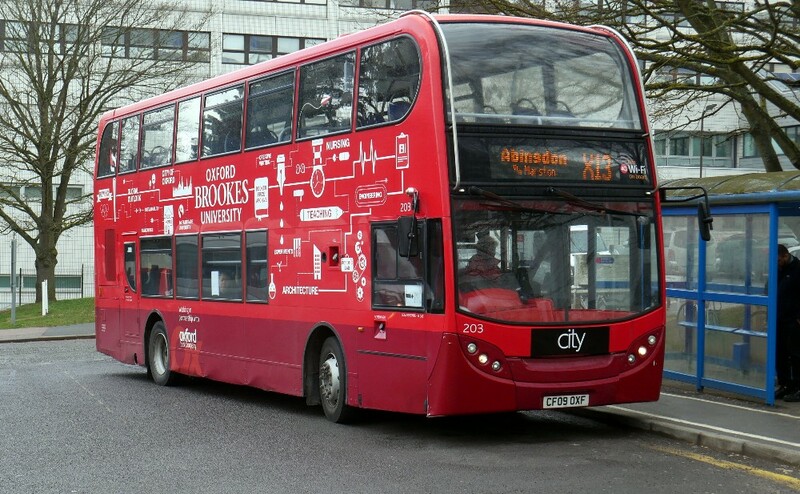 Originally 57 in the CSS fleet this bus has now been renumbered 2903 by Oxford Bus, seen at Gloucester Green on May 17th by Gavin Francis. Graham Low wrote "Yesterday I noticed that Tom Tappin's Volvo PJ53 NKC now carries the fleet number 2903 and its legals are Tom Tappin, Cowley House etc as COMS. Maybe it has been like this for a long time and I just haven't noticed! It used to be 57. I cannot account for this four-digit renumbering?" Phil Southall has provided updated information on the renumbering of the fleet. Phil writes "The City Sightseeing fleet will now have 2000 added to their old City Sightseeing fleet numbers. Not sure why but there was a problem with engineering systems adding 1000. Also, PJ53NKC has always been 903 rather than 57 so is now 2903. It has been repainted recently." In the best interests of variety, 1209 works the 702 Bulleid Way showing off a very colourful wrap on May 17th by Gavin Francis. Gold 10786 works a 7A Yarnton service past the Randolph Hotel on May 16th by Gavin Francis. A day later Gavin caught 10439 on the same working to Yarnton outside The Randolph Hotel. E200 36761 with an S2 departure for Carterton leaves Gloucester Green on May 16th by Gavin Francis. SCO 36928 branded for the 800 and 900 Headington Connect services seen at Carfax on a 10 working - the date May 15th by Gavin Francis. 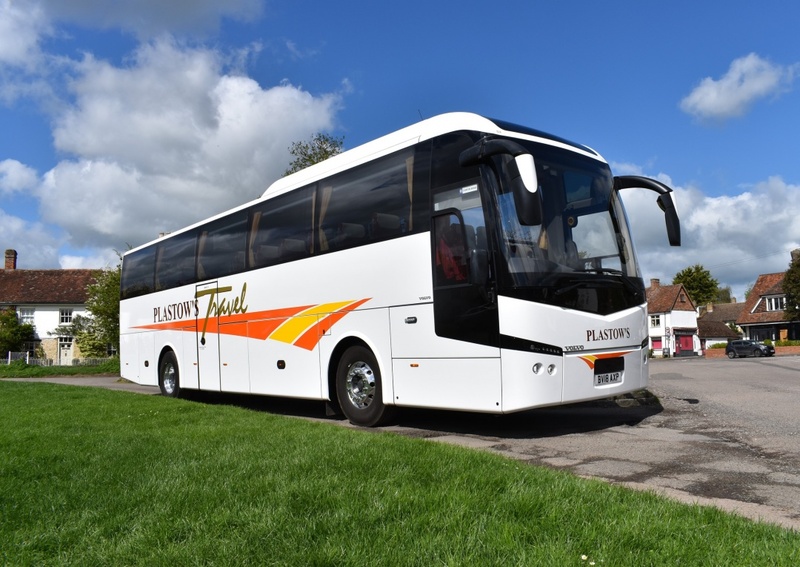 For more fleet details on this operator you can check the link below. It's a shame they only say what types they can offer. Of significant interest is the note from LOTS that a number of withdrawn E400s formally with Abellio are stored at Walters Yard. They are ex Abellio 9547-49/51/53/55-58. One wonders if they are to join the Walters fleet? 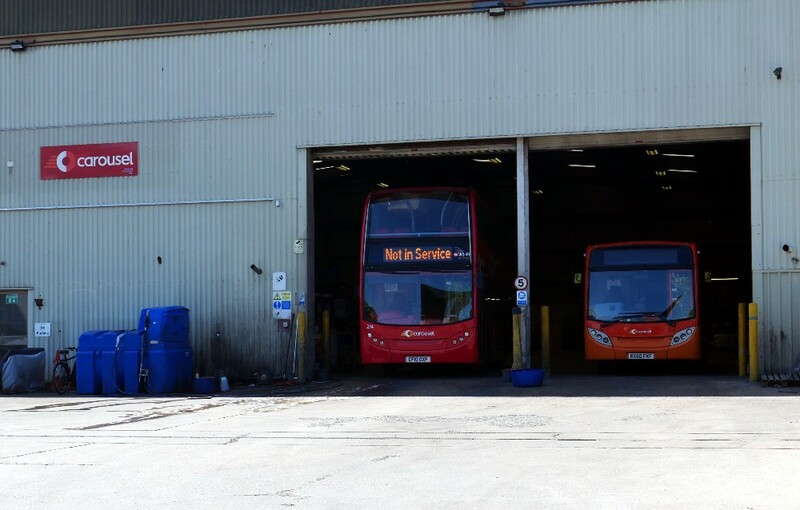 It is far from easy to get a shot of the yard at Wheatley but here we can see the aforementioned ex Abellio 12 plate buses. 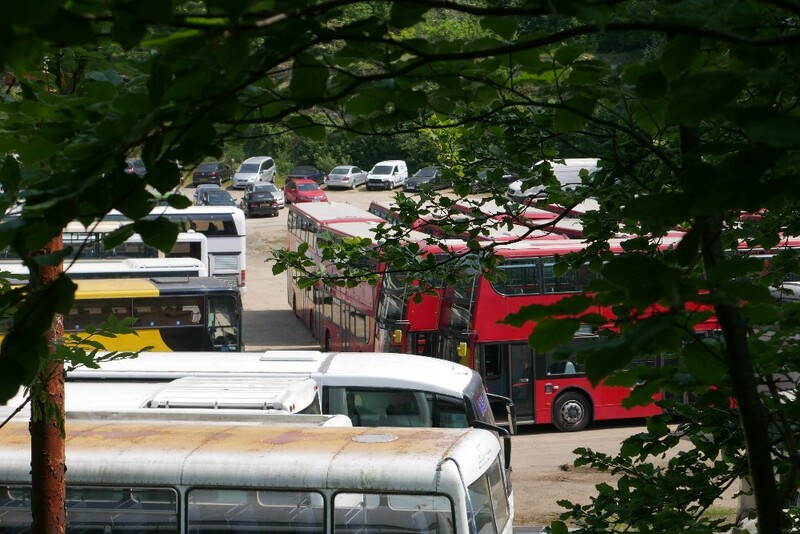 David Gray writes "I did get some of the fleet numbers on the roofs of the buses passing the depot on the various tours but didn't get much of a view. I think the buses involved are as follows (I was hoping for some reports elsewhere on the internet to confirm) so apologies for any errors. I think the belief is that they were stored rather than acquired." Brackets indicate that I had not seen the registration/fleet number which I have added in from my records. I enclose a picture showing two of the stored buses taken May 5th.